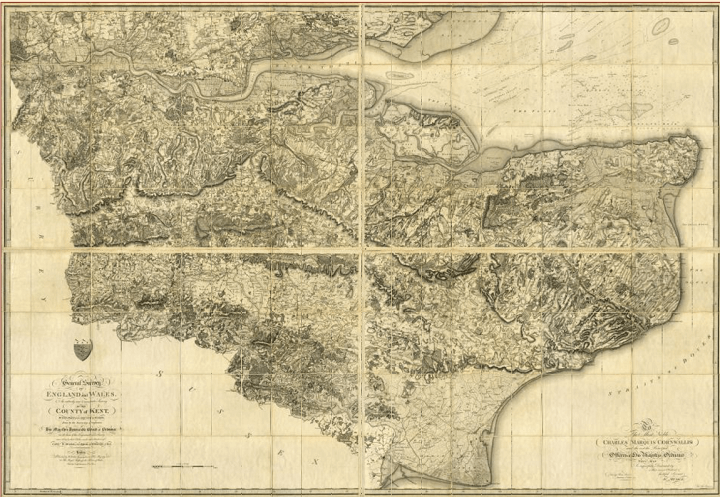 The map above, titled An Entirely New & Accurate Survey Of The County Of Kent, With Part Of The County Of Essex was created by William Mudge in 1801 and is regarded at the first official Ordnance Survey map. The map above shows the “border” between North and South in England and Wales (Scotland is even further North) based on a 2007 study by the University of Sheffield. 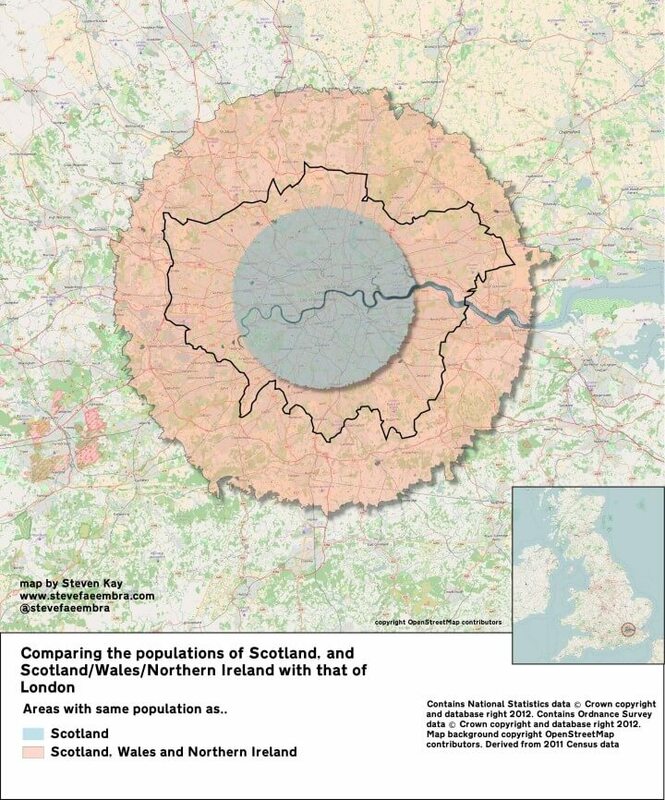 The map above shows just how many people live in London. 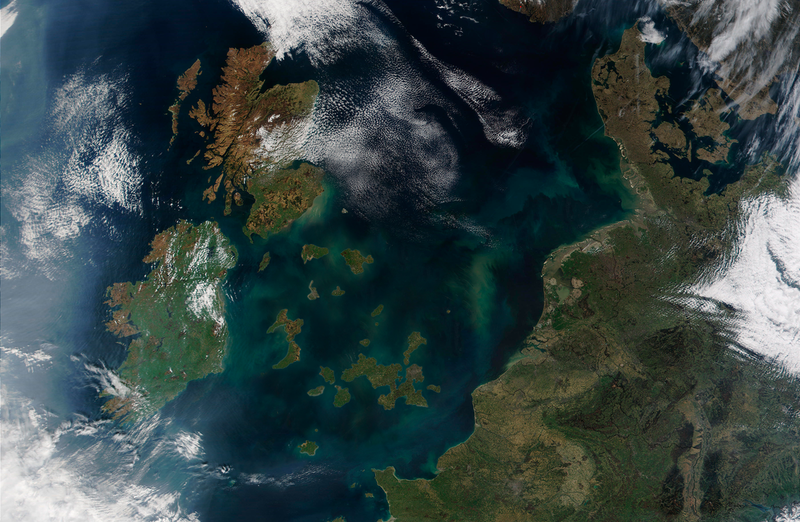 The blue area above has the same population as Scotland, 5.3 million people. And the pink area contains the same population as Scotland, Wales and Northern Ireland combined, a little over 10 million people. 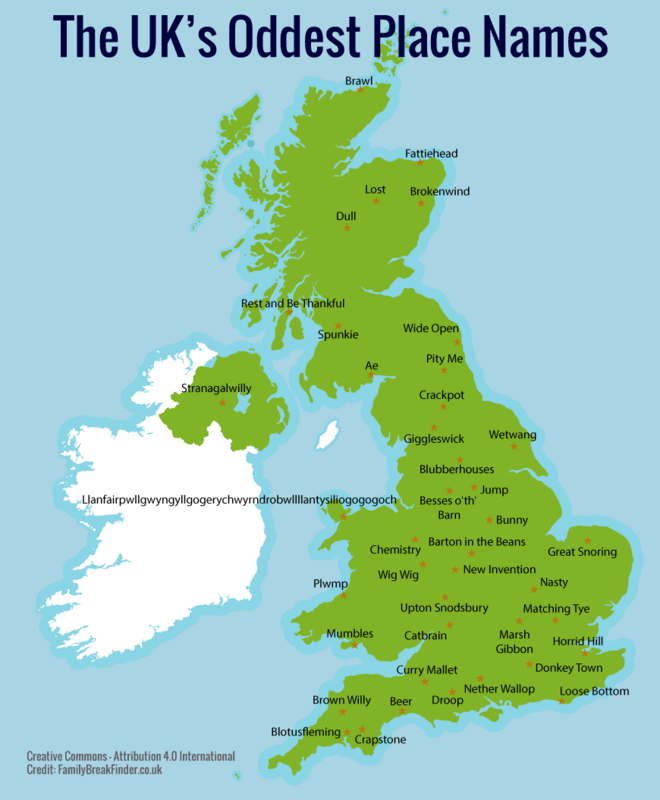 However, as the map above shows it’s not really that simple. 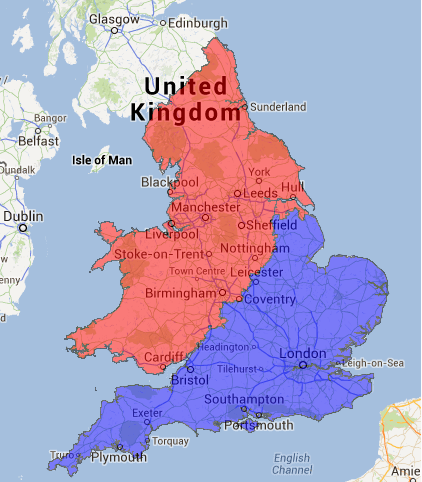 How many Scotlands fit inside England? Map created by reddit user bezzleford. Please note this map refers to population not area. 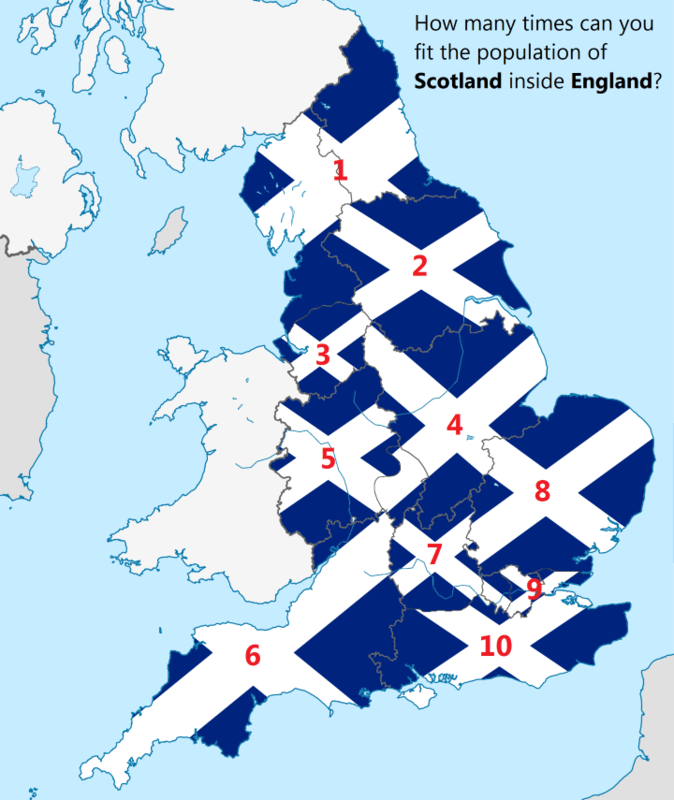 The map above shows how many times the population (not area) of Scotland could fit into England. In case you have difficulty reading the numbering above, the answer is 10. The map above was created by the Britain Stronger in Europe campaign and highlights the huge risk to the British economy if it votes to leave the EU. At risk are EU signed free trade deals with 60+ countries (covering an area far larger than the British Empire). If the UK were to leave, it would have to start from square one and renegotiate new free trade deals with each and every one. 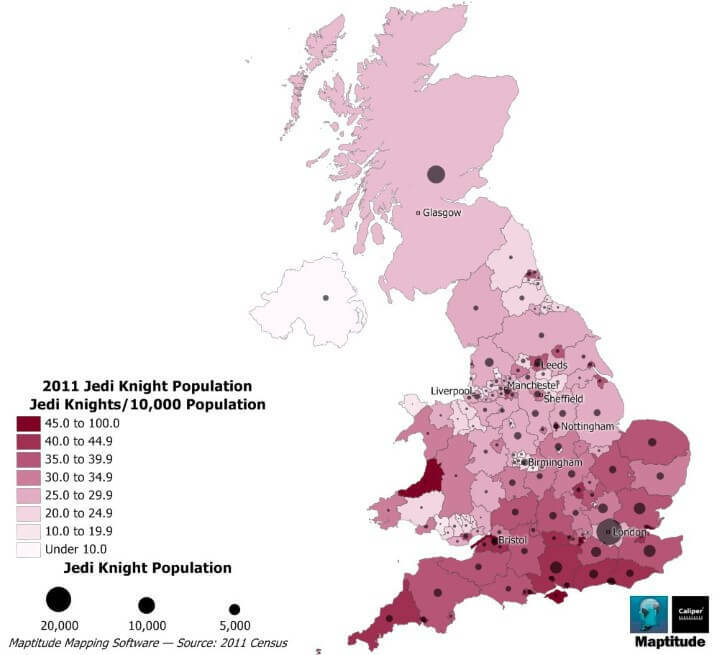 The map above shows how many self-proclaimed Jedi currently live in the UK. The Jedi census phenomenon can be found around the world, but has been particularly popular with the English and Welsh.